From visiting for business to for the annual gay pride parade, Tel Aviv attracts hundreds of thousands of visitors annually. This has led to an arms race of sorts among local hotels, with each trying to outdo the other in style, comfort and amenities. So whether you’re looking for a cool place to lay your head or a gritty-chic room to get lost in for the weekend, here’s the best and funkiest boutique hotels the city has to offer. With its funky and eclectic style, rotating art shows, and a wide variety of in-house cultural events, The Diaghilev Hotel offers a one-of-a-kind experience. 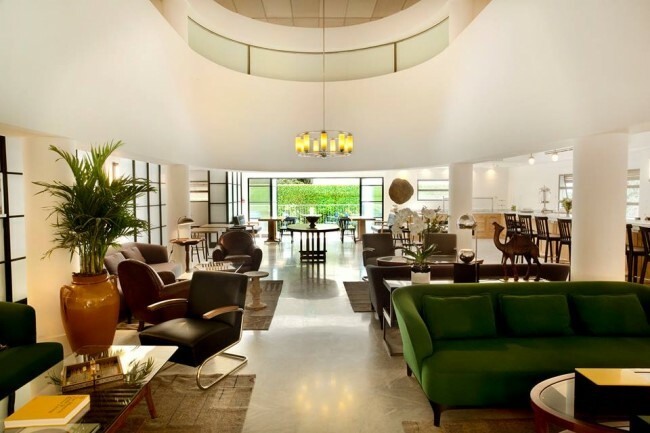 With a bar and startup hub to boot, The Diaghilev Hotel is a great boutique hotel to stay at in the heart of central Tel Aviv. 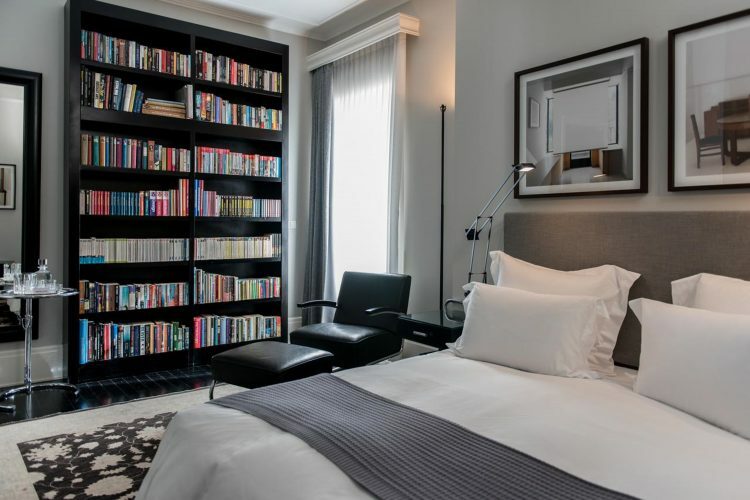 Located inside a historic building inside UNESCO’s White City, every room in the hotel is different due to its specially curated furniture, art and trinkets. They even have a breakfast deal with the Cicchetti – one of Tel Aviv’s best places for brunch. Designed by the world-famous “starchitect” Karim Rashid, this new hotel defines itself as gritty-chic and is perched atop of Tel Aviv’s historic Magen David Square, at the crossroads between the Nahalat Binyamin artisan market, the Carmel Market and Allenby. The Poli House Hotel is among the city’s newest and most hyped boutique hotels, an amalgam of the contemporary and the whimsical inside the finest of Bauhaus structures with a rooftop bar that will leave you in awe. 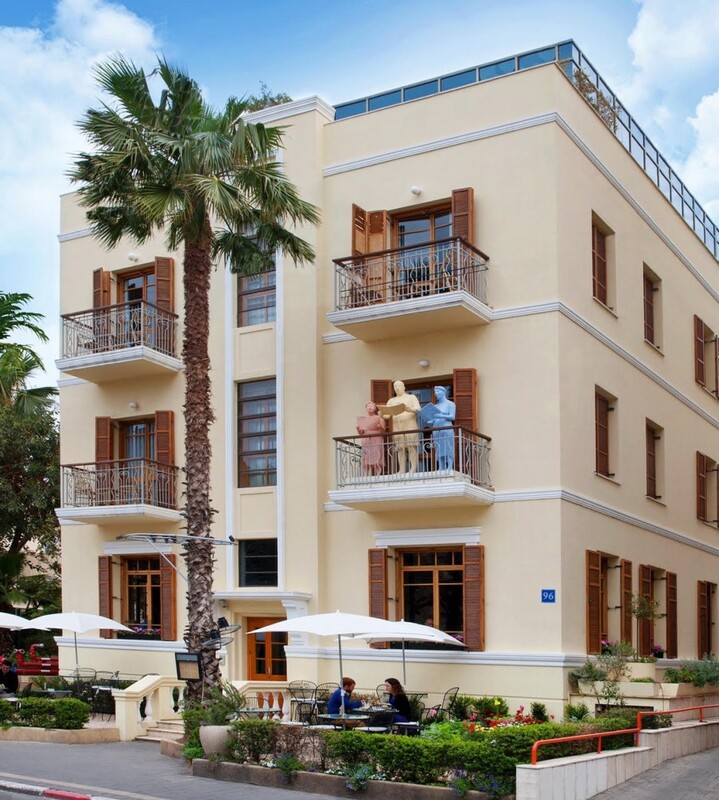 Perched directly on Rothschild Blvd., The Rothschild Hotel is located in one of Tel Aviv’s most photographed buildings and draws aesthetic inspiration from its namesake – the Baron Edmond de Rothschild, which the hotel says was the first Hebrew startup entrepreneur. And indeed the Rothschild is part 19th-century Europe and part 21st-century Tel Aviv, with a unique mesh of colonial and eclectic. All of the hotel’s paintings were specially commissioned from Israeli artists and painted on the doors of the historic building. There’s also fantastic bistro in the lobby. This hotel is in Jaffa – one of the oldest port areas in the world, which has enjoyed a new rebirth as a hipster mecca. Just a short walk from the old city and the vibrant Flea Market, stands this new boutique hotel. The rooms are sleek and elegant, designed with a touch of the local Arab style, so if you’re looking to experience Jaffa (or Yafo, as the locals call it), this is the place for you. With one of the best cocktail bars in Tel Aviv, the B Berdicevsky Hotel caters to the “lifestyle-driven traveler.” Located just minutes from Tel Aviv’s HaBima Square, the cultural epicenter of the White City, this hotel boasts the charm of a small boutique hotel with the amenities and service of a big chain. The Bellboy – its bar – is a must see, with designer cocktails it’s well worth a visit on its own. Fancy but not stuffy, the Berdicevsky is perfect for young professionals. Tel Aviv’s “Grand Budapest”, The Norman is a throwback to days gone by. The Norman’s style is one of the luxury usually associated with grand hotels of the early 20th century, but with a distinctly Tel Avivian aura, blending a European atmosphere with a Mediterranean flair. 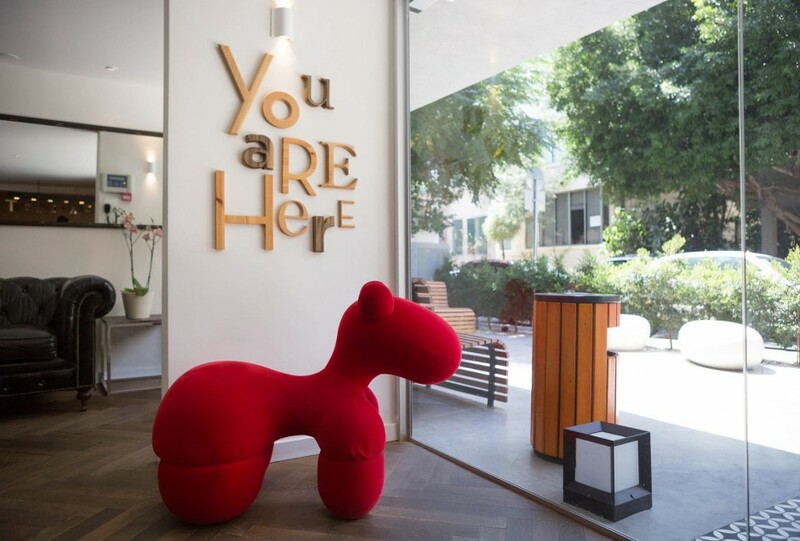 Nested in one of the finest areas in central Tel Aviv, in two historic Bauhaus buildings, The Norman is as swanky as boutique hotels can get. Located near the Carmel Market right off of the trendy shopping street of Shenkin, The Shenkin Hotel is boutique hotels at their most local. Leaving you just a few steps away from the city’s vibrant nightlife scene, this gay friendly inn is the place to go if you want locals to let you in on Tel Aviv’s best kept secrets, and that includes a special deal with market eateries, though with a rooftop bar and restaurant of its own, there might not be need. Though more a fancy hostel than a boutique hotel, The Florentin House is the first to open in the infamously cool Florentin neighborhood, usually called Tel Aviv’s Williamsburg. With a great Asian restaurant on the first floor, and adjacent gallery, The Florentine House has something for those looking to experience the area first hand. The roof-top suite is in a class of its own and gives all of the city’s other boutique rooms a run for their money. Set in a historic restored eclectic-style building built in 1922, this 12-room boutique hotel offers the best food and amenities the city has to offer. With its flagship Hotel Montefiore restaurant in the lobby and round-the-clock room service, Hotel Montefiore radiates class and affluence. Situated in the middle of Tel Aviv’s bustling downtown area, this boutique hotel has preserved the 1930s Bauhaus design and kept the city’s architectural and cultural spirit alive. 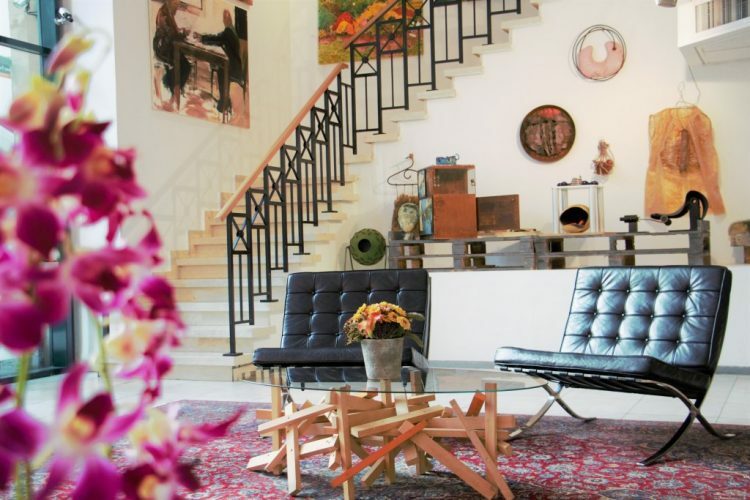 Boasting 37 rooms, the hotel is filled with memories of the Old Tel Aviv—posters of decades-old pop culture and an assortment of artifacts will definitely leave you nostalgic.